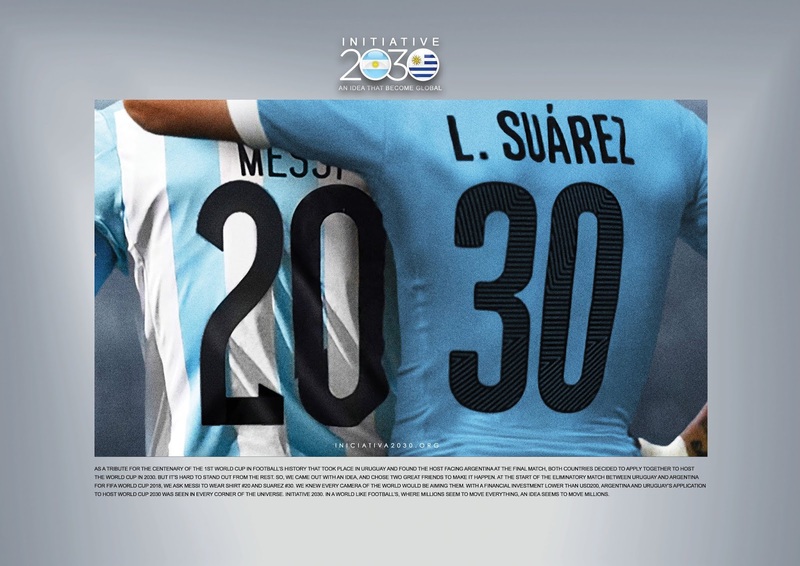 As a tribute for the Centenary of the 1st World Cup in football’s history that took place in Uruguay and found the host facing Argentina at the final match, both countries decided to apply together to host the World Cup in 2030. But it’s hard to stand out from the rest. So, we came out with an idea, and chose two great friends to make it happen. At the start of the eliminatory match between Uruguay and Argentina for FIFA World Cup 2018, we ask MESSI to wear shirt #20 and SUAREZ #30. We knew every camera of the world would be aiming them. With a financial investment lower than USD200, Argentina and Uruguay’s application to host World Cup 2030 was seen in every corner of the universe. Initiative 2030. In a world like football’s, where millions seem to move everything, an idea seems to move millions.